GF 3-Wheel Cruiser, Aluminum Relator with Pewter metallic finish. 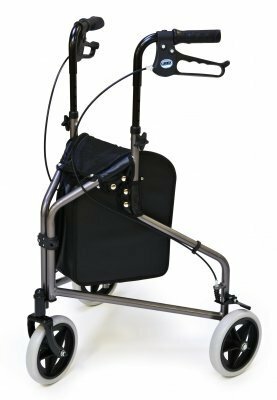 The GF 3-Wheel Cruiser is designed to provide convenient mobility for those individuals that do not require the extra stability of a 4-wheel relators. This new light weight aluminum walking.